Welcome back! I have the privilege of hosting author Carrie Fancett Pagels today. If you are anything like me and have enjoyed the Barbour Collections, you may recognize her name from some of those wonderful books. I “met” Carrie through the ACFW Historical Fiction Facebook page. 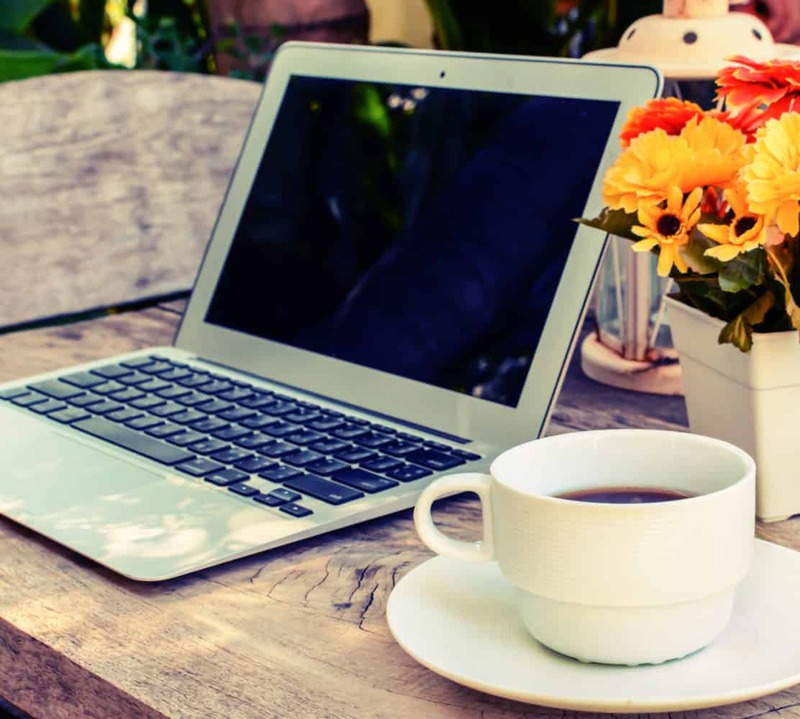 If you are writing and would like to be involved in a group that has monthly online classes, has a place where you can be held accountable for daily word counts or editing, join online critique groups, or connect with other writers/authors in your genre, ACFW is a great organization to check out. Their annual conference as well, is just phenomenal! But let me turn the spotlight back on Carrie and dive right in. Welcome to my blog, Carrie. First, can you tell us a little about your novel. My Heart Belongs on Mackinac Island: Maude’s Mooring is set in 1895 on beautiful Mackinac Island, in the Straits of Mackinac in Michigan. My genre is historical romance/fiction both to read and write. So, I’m thrilled to hear more about your novel. Care to share the more historically significant events behind your story? The story is not really set against “big events” but part of the backdrop is the nature of Yellow Journalism and Gilded Age lies in romance—where both men and women are pursuing wealthy spouses. In my story, Mark Twain makes an appearance, and he really did come to the Grand Hotel, where my story is set, that summer. Also, the Round Island Lighthouse really was constructed that year in the Straits of Mackinac by Mackinac Island. By the way, I am now under contract for a story set at the Round Island Lighthouse! One of the questions I get asked most often is “where do you get your inspiration?”. It just fascinates people. And I’m no exception. I love hearing from other authors and where their inspiration comes from. What was the inspiration for My Heart Belongs on Mackinac Island: Maude’s Mooring? Oh my! I grew up not far from there and worked on the island when I was sixteen. I’ve returned many times since. I was a psychologist for twenty-five years and one summer, my friend Rosemary, whose family was from the island, gave me her own personal tour. One of the places we stopped was at the Windermere Hotel, the inspiration for Maude’s Winds of Mackinac. I’d had a story in my head for years. Wow! What a neat, personal touch! So, did you always want to be a writer? I did want to be a writer when I was a kid. I was a book devourer. I’m also intrigued by what other authors consume. Never a bad idea to get a good recommendation 🙂 What are you currently reading? I am listening to Jan Karon’s latest novel! I used to get her audiobooks from the library, over a decade ago, and listen to them over and over again. When I write, I just have to set the mood. Music is a big part of that for me. What kind of music, if any, do you listen to when you write? I usually go to YouTube to find era-appropriate music. I sometimes buy historical music CDs or downloads, like musician Timothy Seaman’s duldimer CDs. I always ask my guests this next question…always trying to get the inside scoop, you understand. Can you tell us something about your newest release that is NOT in the blurb. This book was a “Problem Child” book and Maude’s characterization got an overhaul. I originally had her as a more anxious young woman and was advised against portraying her in that manor. So she had to go to “rehab”! And, lastly, do you have any current projects you’re working on? Care to share? 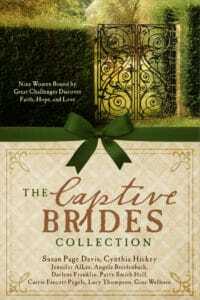 Yes, I have another brand new release, Love’s Escape, in The Captive Brides collection. This novella is from Barbour Publishing as are the four novellas I have releasing in 2018. I am completing edits from the editor on Shenandoah Hearts, part of the Backwoods Brides collection which I spearheaded and had on my heart for years to do. Authors are all from the Colonial American Authors group which I founded seven years ago. 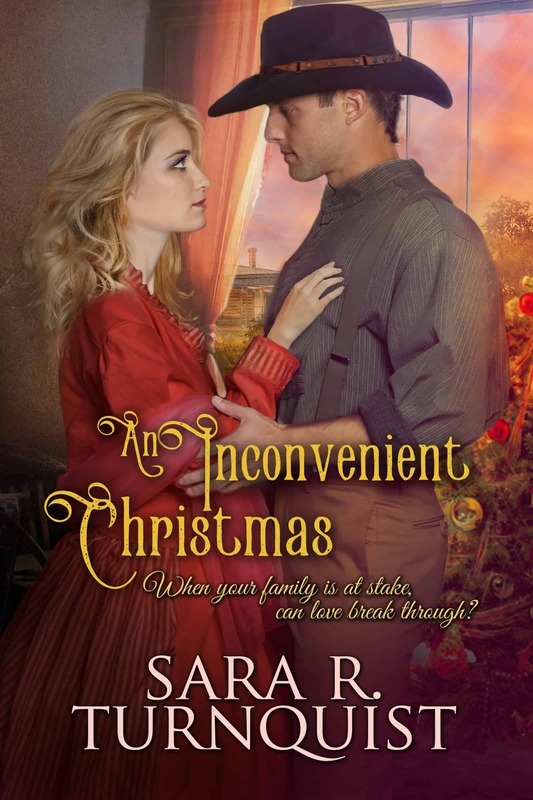 I’m writing The Sugarplum Ladies part of the Victorian Christmas Brides collection right now and I’m loving this story! I have galleys coming soon for His Anchor part of the First Love Forever collection which includes Sadie’s story—Maude’s best friend from My Heart Belongs on Mackinac Island. Next I’ll be writing a story set at Round Island Lighthouse in the Straits of Mackinac! I cannot tell you how much I love the Barbour Collections! I am eager to dive into this one. Thank you, Carrie, for joining us today and for sharing about your book. And now, we’ll take a peek at The Captive Bride Collection and Carrie’s contribution, Love’s Escape. The stench of slavebroker Hiram Cheney’s tobacco, sweat, and alcohol was only intensified by his heavy use of bergamot oil. Lettie held her breath as she backed away from the open entryway, through which the paunchy man was shoving Beneida, the Dolleys’ servant. Lettie released a gasp. She’d met the beautiful young slave several times – the first time when Lettie accompanied old Mrs. Burwell to see her dressmaker, in Richmond. Today Beneida wore a pink and yellow checked day dress that was as fine as any Virginia society belle’s. Lettie pressed a hand to her throat. She couldn’t voice her question – what was Beneida doing in their kitchen? “Where’s Burwell?” The irksome man pulled a heavy watch from his purple and sky-blue plaid vest. Lettie backed up to the kitchen window and startled when her apron strings tapped against the glass. The man grinned, his pock-marked ruddy face one Lettie had encountered in her nightmares. The other slaves told stories of the man as though speaking of the devil himself. No one wanted to be taken from Burwell Plantation by this man and sold elsewhere. Who knew what all he would do before they ever reached their destination? Lettie must have been staring, for Cheney growled as he looked at her. She quickly glanced away and moved away from the window to the stove. “I’d say I was sorry about your mama, Lettie, but I ain’t a man to lie.” He patted the pockets of his burgundy coat. She chewed her lip, willing the tears to stay put. “Mr. Cheney, you want to try my new sugar biscuits?” Nestor’s voice was tight. Lettie cringed at the insinuation in the insufferable man’s voice. She heard Beneida sniffling in the corner. As beautiful as the young woman was, who knew what shame Beneida would know at this plantation? Or had already suffered at Cheney’s hands. Mama had somehow been able to keep the young Burwell men from her, and up to now had prevented Durham from getting near her, but now. . . Tears flowed down her cheek and she bent to stir the stew simmering on the hearth. Beneida grabbed a handful of the taffeta fabric, but found what Lettie knew – the stiff fabric wouldn’t pick it up – it merely smeared the foul substance around. Spinning on his heel, Cheney cackled as he heavy-footed it out of the kitchen. Lettie whooshed out a breath. She grabbed a wet rag and brought it over to wipe up the tobacco clump. Lettie bent and wiped up the dark stain. If only life’s messes were that easy to clean up. If only God could blot out the sins of men and restore them to right reasoning. Would they realize enslaving people was wrong? “I heard about you.” Nestor lucked at her shabby gray cotton skirt, beneath her stained apron. “How so?” Beneida nibbled her lower lip. Her oval face paled. “I did. But we returned. Mr. Dolley died. And his wife sold me to the Burwells.” Tears streamed down her face and little Nestor patted her arm. Lettie followed her gaze. Outside, well-muscled field slaves pushed carts of produce to the back of the kitchen house. A number of men sat on the ground, by the well, drinking their fill of water before they headed back. Across the yard, female slaves carried baskets of laundry atop their heads and into the laundry building. Smoke curled up where huge pots of water boiled for the task. Chauncey Burwell rode up the center lawn astride his white gelding, waving his hat high. He circled the square and the kitchen workers all quickly turned their attention to chopping vegetables on the counter. Even Beneida picked up a knife, in pretense. “You look ridiculous in that outfit, in here.” Lettie pointed to the hall. “Everything I brought in my bundle is this fancy or more so.” Beneida gingerly fingered the glossy bow on her right shoulder. “She got more problems than clothing if she stay here.” Nestor pointed toward the overseer, who was ducking into the laundry building. Where he had no business to be. 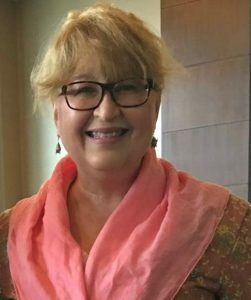 Carrie Fancett Pagels, Ph.D., is the award-winning author of fifteen Christian historical romances, including ECPA bestsellers. Twenty-five years as a psychologist didn’t “cure” her overactive imagination! A self-professed “history geek,” she resides with her family in the Historic Triangle of Virginia but grew up as a “Yooper,” in Michigan’s beautiful Upper Peninsula. Carrie loves to read, bake, bead, and travel – but not all at the same time! Her latest novel, My Heart Belongs on Mackinac Island: Maude’s Mooring is a Romantic Times Book Reviews Top Pick. You can connect with her at www.CarrieFancettPagels.com. Carrie will be giving away one of her books (winner’s choice!) to a randomly chosen entrant. And I have been trying to figure out a better way to do these giveaways. Finally, I have decided to run rafflecopters. You probably know how they work…entries will be accepted until Thursday evening November 9, 2017 at 11:59pm (CST). Thanks for this interview, Sara. Carrie, I’m so intrigued by Mackinac Island. Definitely want to check out that book! What inspires me? Worship, the Word & Prayer. Thank you for visiting, Nicki! I love your inspiration sources!! Hi Nicki! Thanks for coming by! Put Mackinac Iskand on your bucket list! Great inspirations! My Heavenly Father inspires me. I get inspired to be a better person and treat others they way He would. Carrie, I have read My Heart Belongs on Mackinac Island: Maude’s Mooring and I loved it. I love this response, Debbie! He is a good, good Father, isn’t He? Thanks for stopping in! Hi Debbie! God is great at inspiring us! Thanks for reading Maude’s story! Wonderful interview! Love Carries Books! She does her research and makes her characters come to life. My Grands, Fur Babies inspire me! Reading about hope and Gods promises! Hi Wendy! I know you love your Grands and your fur babies! Thanks for your kind words my friend! I find nonfiction books and Danny Gokey’s music and others inspire me, too, Shelia! Blessings! Terrific Interview! Thank you both. Mackinac Island sounds like a fabulous place. Thank you formthe giveaway opportunity. Thank you, Perrianne! Glad you stopped by. Hi Perrianne! Thanks! I hope you get to visit Mackinac Island one day! Blessings! Thanks so much for hosting me, Sara! Your blog is really lovely! Thank you, Carrie! It is a real pleasure to have you on the blog! I've been to Mackinac Is. a couple times. Once we were there in early June and the lilacs were sooo beautiful! So sweet, Amy! My oldest is 8 and, you are right, their imagination at that age has no bounds! Hi Amy! It is like heaven on earth during the Lilac Festival on Mackinac Island! I will be signing books and on the schedule for this years event! So excited! Such a nice interview! It was great seeing you yesterday, Carrie!!! Such great sources of inspiration, Anne! Writers often have the “occupational hazard” of becoming people watchers. There is no end to the crazy, quirky, unexpectedness of God’s wonderful masterpieces. They never cease to amaze me. Great seeing you at the Barnes and Noble bookstore in Williamsburg for my book signing! Thanks again for the lovely flowers! Love your photographs of nature! Hmmm, what inspires me??? Deadlines, something that I really want to accomplish and my family. Deadlines are huge motivators Sherry! Reading my Bible…and reading good CF . Would love to win a copy of this book.Thanks for the interview and giveaway. Hi Elma! I love my Through the Word in a Year Bible. Thanks for coming by! I am inspired a lot by books that I read. Hi Jan! That’s the hope of Christian Fiction authors — that we are inspiring our readers! God and His love inspires me. I am blessed with a wonderful family. He is good all the time. Thanx for the giveaway!!! I love Mackinac!!!! I am a Michigander transplanted in Texas. I haven’t been to Mackinac in 20 years. I am an Avid reader looking forward to reading Maude’s story. Great interview! Hi Carrie and Sarah! My inspiration comes at the oddest times. I’ll think of something and have to go write it down. A craft idea, or a book I’d like to read. Happy Writing and reading. So true, Paula. I carry a notebook everywhere I go for that very reason! Thanks Paula! I can’t tell you how many napkins I have scribbled ideas on napkins just like you mention where it’s at the oddest Times! Chocolate! Tee Hee. I am inspired by my spiritual sisters and brothers who have learned spiritual truths that I need to work on. Knowing someone else has gone thru similar difficulties w/ victory is encouraging. Anne you are so funny Pal! Chocolate is too many points for me right now! In Blackaby’s classic work about hearing from God this is one of the ways—through our brothers and sisters in Christ! I love Carrie’s books. Her clean Inspiritional novels inspire me. Thanks for visiting, Joy! I am so eager to check out her latest! My husband inspires me. He is the most giving, unselfish, patient person I know. He shows me every day how special that day is and to enjoy each one because it won’t come by again. He’s an example of how to get joy and love you have to give it first – to set yourself out there with no expectations of anything in return to be really blessed. The world would a greater place is we could all learn by his example. Wow! How amazing to have such a partner. What a wonderful testament, Kay! God’s Word, my wonderful husband and my three sons inspire me. Also others who are cancer fighters and survivors inspire me in the journey. All very inspirational, Merry! Thanks for sharing! My mother was always my inspiration. She believed in me , told me not to give up and keep trying. Everyone I meet says she’s a wonderful and kind lady. She inspires me to be humble and kind. She lived life to the fullest and almost lived to her 99th birthday in October. MIss her so much. I totally resonate with this, Karen. My mother passed this last April. We will be going through our first winter holidays without her. I am all the more thankful for our hope eternal in Christ!! Thank you for sharing! Lovely! Thanks for the reminder of God’s creation, Janice! So true, Lori. So well said. Great interview! Love your books, Carrie, as I’m sure you know! Thanks for stopping by, Robbie! My family and friends inspire me and praying to God. God recently performed a health miracle for me while watching the 700 Club. I am praising God. If you ever want to know more, just email me. Thanks for sharing, Eileen! God is so good! My father is and has always been my inspiration. Thanks for stopping by, Darlene. My dad is pretty special to me, too. Ralph Waldo Emerson said “Write it on your heart that every day is the best day of the year” and I take that to heart. Such a great quote! Thanks for sharing, Richard! The Lord Jesus Christ inspires me and gives me hope every day! !